Home PARTNER STORIES PARTNER NEWS Slovenian Eurovision Song 2017 fever is on! Slovenian Eurovision Song 2017 fever is on! This days Slovenia breathes for EMA 2017 with already 2 pre-selection evenings that GR – Ljubljana Exhibition and Convention Centre hosted last week and the final evening happening this Friday, 24th February which will announce the musician who will represent Slovenia at Eurovision Song Contest 2017 in Kyev in May 2017. The Eurovision Song Contest is one of the longest running television shows, which welcomed the first musician participants on 24th May 1956 and it is also very popular in Slovenia. After 7 years, EMA moved from closed studio set to GR – Ljubljana Exhibition and Convention Centre which is the host of all three evenings: 2 pre-selection shows on 17th and 18th February 2017 and the final evening, happening on 24th February. EMA 2017 is held at the acoustically renovated Kocka hall, the largest space of GR. With its 2456 m², this hall is the ideal for this kind of events, especially with January and February improved acoustic of the hall with their goal to meet the demands of concert events and accompanied TV recordings. So, from now Kocka Hall offers even greater sound, which is without a doubt an important factor at event of this kind and approximately 900 people in the live audience will enjoy EMA 2017 on Friday evening at its best. Slovenian world of music will present itself with their best performers and the organizers are delighted to see that GR – Ljubljana Exhibition and Convention Centre is the host of all 3 evenings, since the event has been held in closed studio in recent years and consequently the location of event such as EMA has not been so well accepted since the public couldn’t see and listen to performers. The location at GR, Ljubljana leading convention centre, known for remarkable conventions and other entertaining, cultural and educative events is one of the best places for EMA that will open the event to masses and fans which will make sure the event will get more attention and popularity. 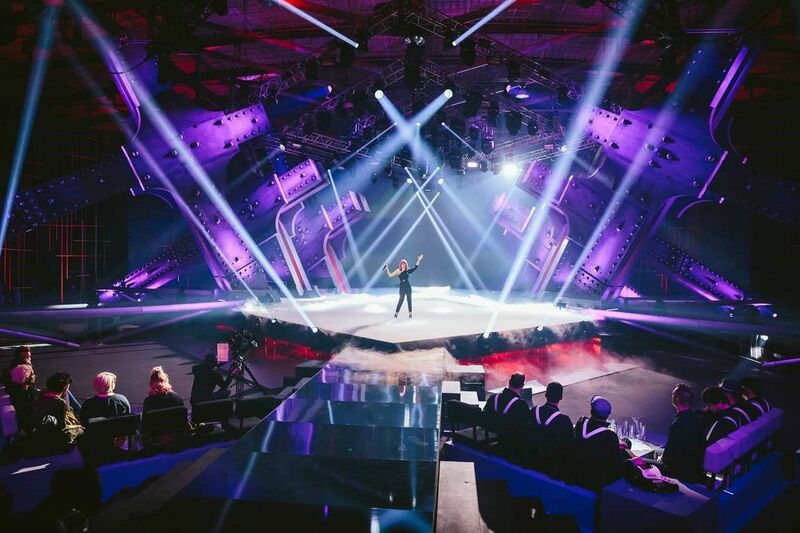 Together with the expert jury, the viewers and listeners will select the Slovenian representative for the 62nd Eurovision Song Contest 2017, which will be held at the International Exhibition Centre in Kyiv, Ukraine. The Semi-Finals will take place on 9th May and 11th May and the Grand Final will be held on Saturday, 13th May 2017.